Transformation complete! 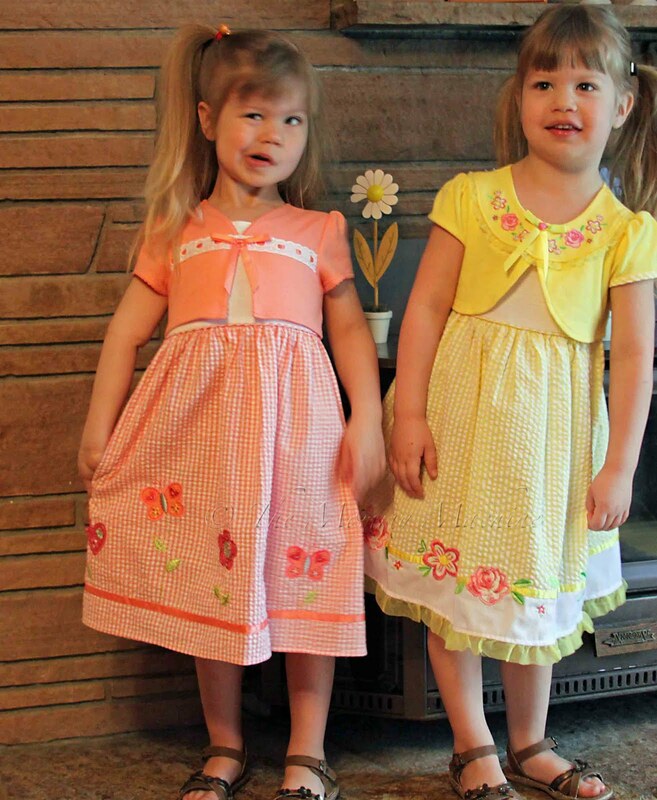 Beautiful little girls and adorable dresses! My twins have the same yellow dress! We got ours at Kohl's. Oh, so cute! Reminds me of when mine were that small. Church was our favorite time each week. Wow! I'm impressed (and thankful that my girls have my brush-friendly hair). They are SO beautiful! I was sad to have to refuse by daughter's church dress request this week, but it was a little chilly here for sleevelessness. That is the most amazing tangle of hair I have ever seen! 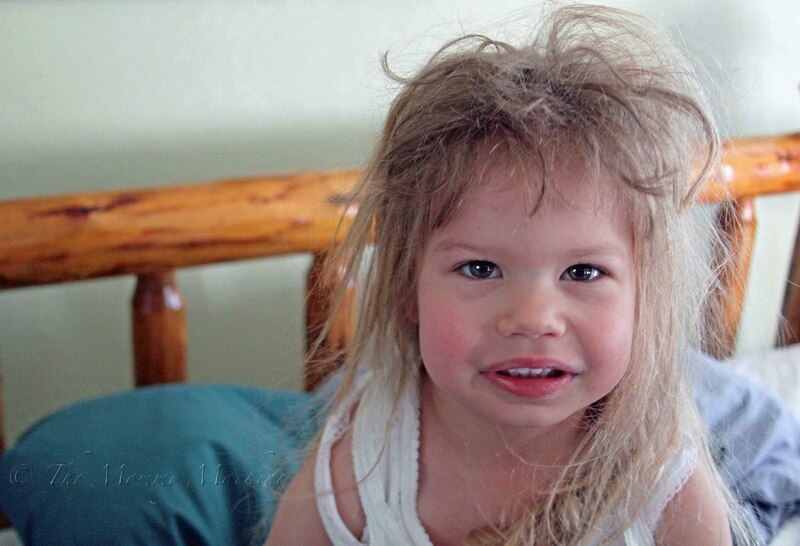 I remember my sister waking up like this. That's the great thing about boys. 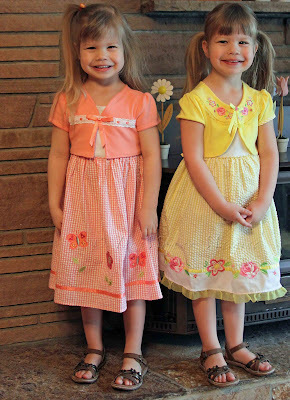 Anytime their hair approaches anything that looks like it needs combing, I cut it off. way to go, mama! that bedhead was fierce! and they are seriously adorable. Look at her WINKING!!! we have some serious bedhead here, too. We even have a book about the Knot Fairy! Love the brown sandals--- need some for Rae! I love this! How adorable! 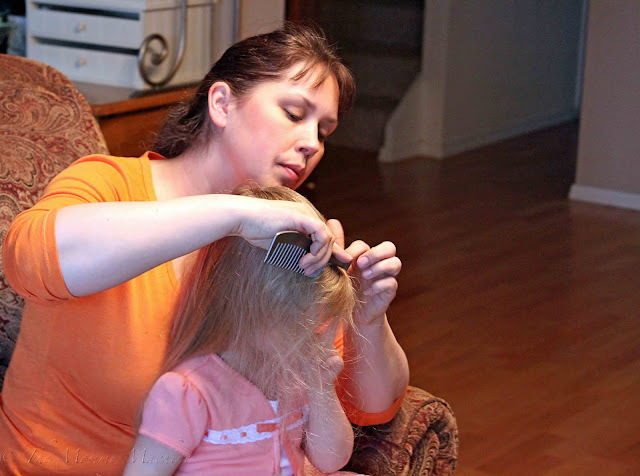 If I had daughters, my husband would have to do their hair. Most all my boys have cowlicks and any day is a toss up where to part their hair, but he makes them look so nice! Me? I'm all thumbs with a comb!